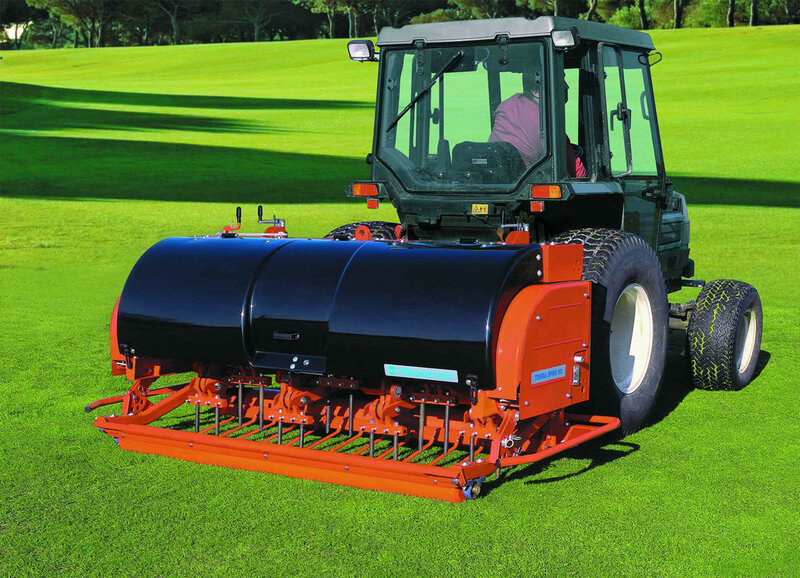 For deep aeration and removal of compactions up to a depth of 27.5 cm. The Extra Deep XD loosens and aerates turf with a working speed of up to 4 km/h. Often favoured by contractors who need smooth running machines that are on the go day-in, day-out the XD is available in 1.6 m (XD6) and 2.1 m widths (XD8). Thanks to the two damping systems VibraStop and PowerPack, the operator remains protected from vibration at all times. The work depth is set simply and tool-free by means of a hand crank. Optionally, the work depth can be set hydraulically from the tractor cab -maximising efficiency and making most of weather windows. Optional equipment: Full tines, hollow tines, multi-tine holders, turf retainers, swath board, hydraulic depth adjustment, hydraulic rotary brush, lower link extension CAT l & ll, soil probe cpl. If you are interested in our TERRA SPIKE XD use the quick enquiry form below.